Blake Windred had three shots to make up at the start of the day, but there’s a reason he is the second-highest ranked Australian in the world. 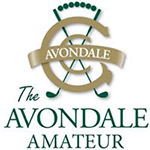 Windred’s final-round 68 was just enough to pull off an Avondale Amateur title defense and secure his first major amateur victory of 2019. Windred, No. 11 in the Golfweek/AmateurGolf.com World Ranking and the highest-ranked player in the field, finished 72 holes at Avondale Golf Club in Pymble, Australia with a 9-under 275 total. His final-round 68 included four birdies and a bogey. A breakthrough was obviously coming for the 21-year-old after a quarterfinal run at the Australian Men’s Amateur and a top-3 finish at the Master of the Amateurs. Next up for Windred is the Victorian Open at 13th beach, by far the biggest tournament he has played in. It was a show-what-you’ve-got kind of day at Avondale, with the best round coming from a player who was six groups ahead of Windred. That was fellow Aussie Jediah Morgan, who had a final-round 66 that included only one bogey, at the second. Morgan climbed all the way into solo second, at 8 under, with that round. Jordan Garner, with rounds of 71-66-69-71, was solo third another shot back. Jye Pickin, the Avondale local who flew out to the first- and second-round lead with opening 66s, had closing rounds of 74 to finish sixth. In the women’s division, Korean KK Park cruised to a sizable eight-shot win over compatriot Min A Yoon. Interestingly, the 18-year-old had an edge from the word go after eagling her opening hole. “I am so happy because it is my first win in a major tournament,” Park said.